Forty-five individuals with generalized anxiety (38 with GAD as defined by DSM-III) were randomized to 4 treatment conditions or a waiting list control. Patients received 8 sessions of either frontal EMG biofeedback, biofeedback to increase EEG alpha, biofeedback to decrease EEG alpha, or a pseudomeditation control condition. All treated subjects showed significant reductions in STAI-Trait Anxiety and psychophysiologic symptoms on the Psychosomatic Symptom Checklist. 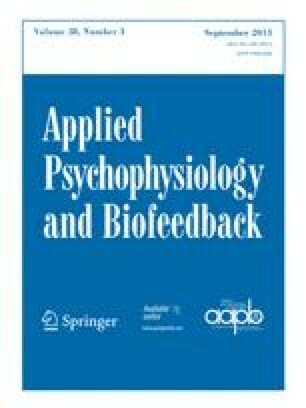 Only alpha-increase biofeedback subjects showed significant reductions in heart rate reactivity to stressors at a separate psychophysiological testing session. Decreased self-report of anxiety was maintained at 6 weeks posttreatment.